The enrolment process for New Year 8 students is managed by the Department for Education. Students in Year 7 in government primary schools will automatically be issued with a ‘Starting Secondary School’ application pack during May of Year 7. Parents of children who are attending a non-government school will need to request an application pack, including the ‘registration of interest for placement in year 8’ form, from the South Australian Government 'Choosing a High School' website. An Aquatics Camp is held early in term 1. In small groups, Year 8 students take part in aquatics programs, and get to know each other and their teachers. A staff member is appointed as Year 8 Coordinator, and is available to assist with student and parent issues. Our School Counsellor is always available to assist students with any concerns. Gladstone High School services the school population with a Governing Council managed canteen that operates 5 days a week for recess and lunch breaks. An important factor affecting the growth and development of children is the nutritional quality of their diet. The school community has a responsibility to demonstrate good choices and extend users’ experience of healthy eating in the same way a classroom environment does. We aim to provide a service to students, so that it is not necessary for them to leave the school grounds during the day to buy snacks or lunch. Our objectives is to provide food that is fresh, nutritious, and wholesome at affordable prices that encourage long term healthy eating habits amongst the school community. We believe that voluntary workers can make a significant contribution to the school community by giving their time and sharing their skills and expertise with others. Volunteers may have a wide range of interests and abilities that complement school programs, thus providing a wider range of interactions and experience for students. Our policy aims to provide you with more information about positions/roles, our process and who you can contact to enquire further. 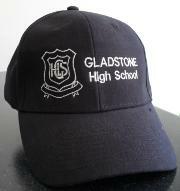 Wearing of the Gladstone High School uniform is compulsory for all students. The Governing Council has endorsed our Uniform Policy. agreeing to ensure that their child/children have access to the school uniform. Our Uniform Shop is located in the Front Office. A uniform price list can be obtained via the website or Front Office. All major credit cards, EFTPOS and cash are accepted. A – Your child is demonstrating excellent achievement of what is expected at this year level. B – Your child is demonstrating good achievement of what is expected at this year level. C – Your child is demonstrating satisfactory achievement of what is expected at this year level. D – Your child is demonstrating partial achievement of what is expected at this year level. E – Your child is demonstrating minimal achievement of what is expected at this year level. In Years 8-10, students with a Negotiated Education Plan (NEP), who have accommodations to allow them to work toward the appropriate Australian Curriculum standards, are graded with an A, B, C, D or E.
In Stage 1 subjects, students with an NEP have a Modified Assessment Plan and they receive A, B, C, D or E grades. Gladstone High School has Education Department buses, plus additional contractor buses, which are privately owned. The school buses transport students from Georgetown, Crystal Brook, Laura, Stone Hut, Redhill, Yacka and Gulnare. A bus timetable showing morning and afternoon pickup and drop off times is provided at the start of each year. It is necessary to negotiate all transport with the Deputy Principal. The safety and welfare of students is the responsibility of the school from the moment students get on the school bus in the morning to when they get off the bus in the afternoon. This responsibility is delegated to bus drivers. All students and parents are required to sign and adhere to the Bus Code of Conduct, which is aligned to the school’s behaviour management policy.